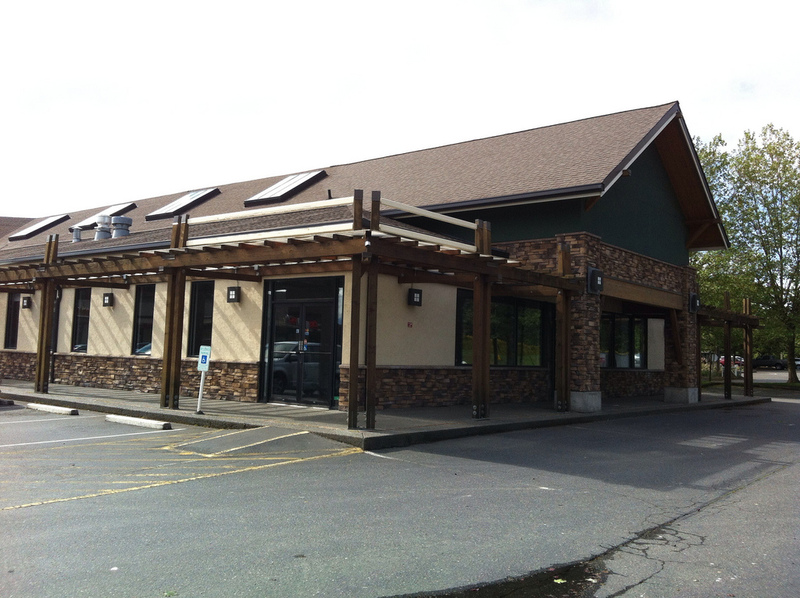 The Tacoma Center Building at 2367 Tacoma Avenue is available for sale with an asking price of $499,999. The building was built in 1969 and contains 12,960 square feet. Update June 2013: The property no longer has a for sale sign up and has been repainted. It looks really nice! 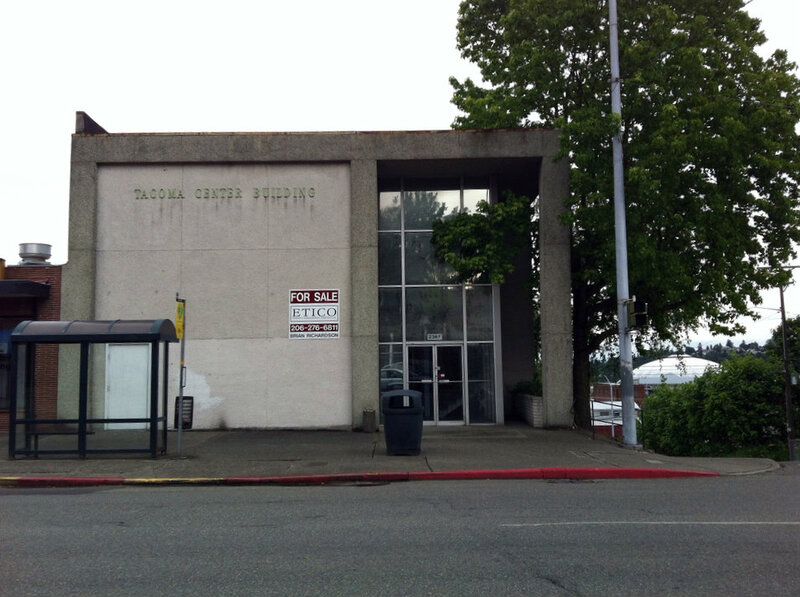 This entry was posted in Office Space, Tacoma, Their future is in question, WA State - Pierce County and tagged 1969, for sale, Tacoma Avenue, Tacoma Center Building on May 31, 2012 by admin. I found myself on Dock Street in Tacoma today and stopped at 1131 Dock Street. I learned a few things about this wooden building that was built in 1929. It was originally a machine shop (and maybe still is?) and had been the home of the Sea Scouts until they moved in 2005 or 2006. It appears that the My Girl Charter Yacht Company is based out of the building. There was a giant puff ball kind of plant in front of the building :). This entry was posted in Industry, Tacoma, WA State - Pierce County and tagged 1131 Dock Street, 1928, charter, My GIrl, Tacoma, wooden, yacht on May 30, 2012 by admin. 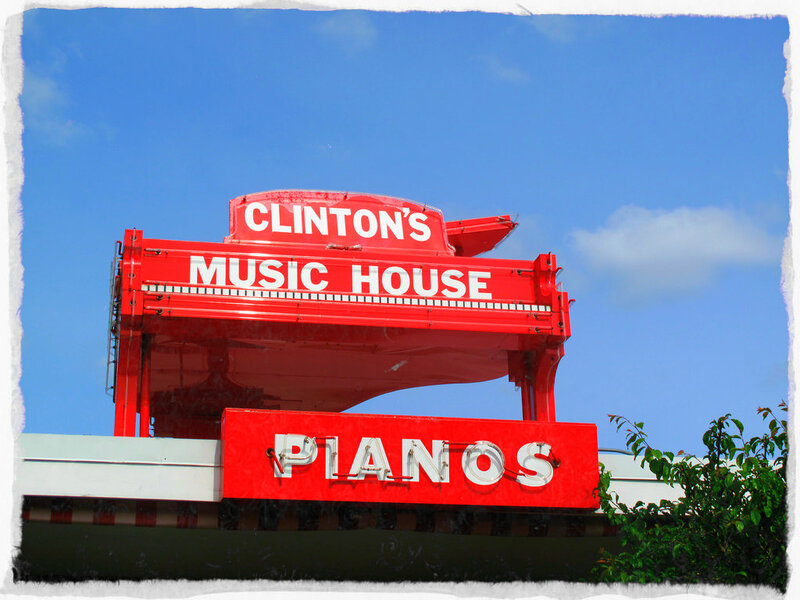 Clinton’s Music House is still there! 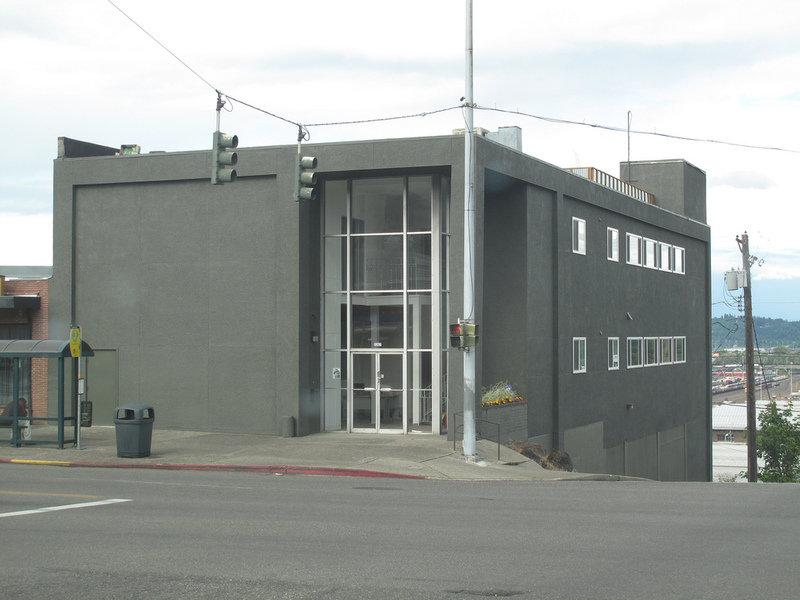 When I saw that an antique mall had moved into the Clinton’s Music House space at 2301 Tacoma Avenue South, I figured that Clinton’s was gone. But no! When I stopped to snap this photo I discovered that Clinton’s is still there, but in a smaller space. Well, that’s good. 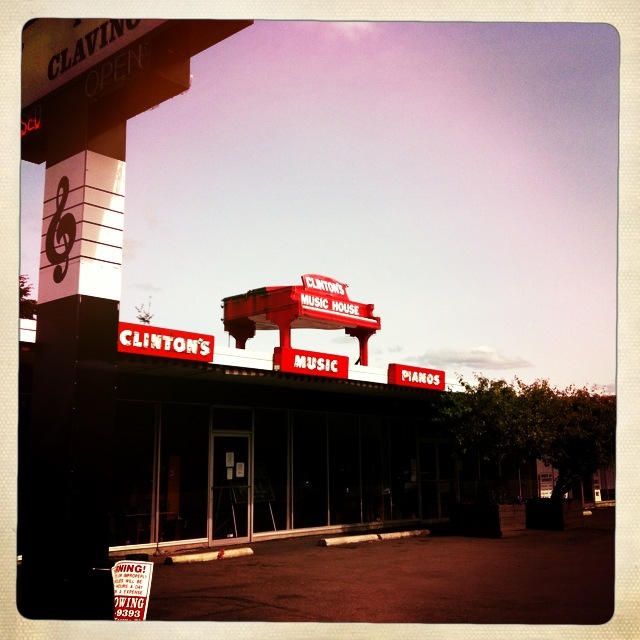 Information found on the web says that Clinton’s has been family owned and operated since 1898. They have been at this location since 1964. There is a second location in Olympia. This entry was posted in Stores and other places that sell you things, Tacoma, Unique Shopping (stores with some personality), WA State - Pierce County and tagged antique mall, Clinton's Music House, Piano, Red, Tacoma, Tacoma Avenue on May 29, 2012 by admin. 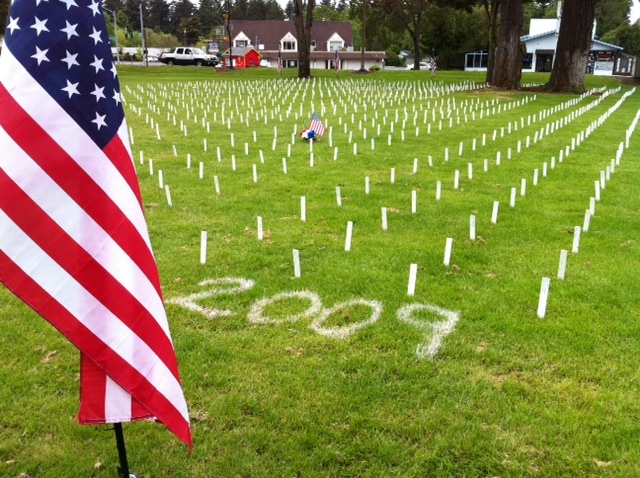 The students and staff of Clover Park High School in Lakewood, WA have created a reproduction of Arlington National Cemetery this Memorial Day weekend, as they have in other years. The photo above is actually from last year when I had my better camera on hand. This entry was posted in Cemetery, Lakewood, Once in a while events, Schools, WA State - Pierce County and tagged Arlington, cemetery, dead, flag, Lakewood, memorial, mock up, was on May 28, 2012 by admin. Everybody in my family except me had been to the Museum of Flight at 9404 East Marginal Way S. Seattle, WA 98108-4097. My dear daughter thought it was a good idea to take me here for mother’s day and a couple of weeks later here we are. 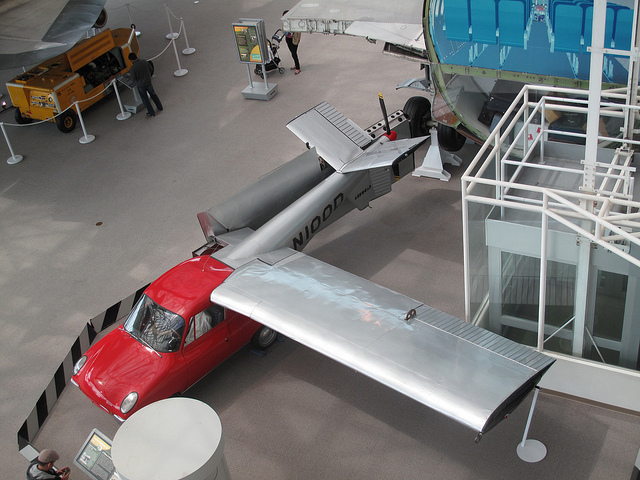 The picture about shows a car that turns into a plane (or a plane that turns into a car). This entry was posted in Historic Sites, Museums, Seattle, WA State - King County and tagged airplane, Boeing, car, engine, flight, flying, museum, planes, Space, wings on May 27, 2012 by admin. 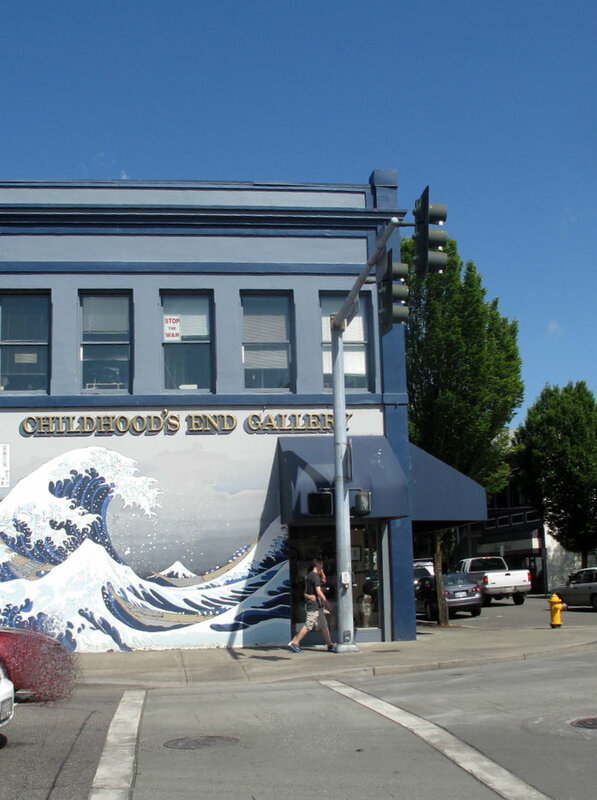 Childhood’s End at 222 4th Avenue West in Olympia is one of my very favorite galleries. They feature Northwest and national artists and have a delightful combination of unusual and lovely decorative and functional items. Today I bought a pair of earrings that feature a tree design.The exterior wall of the store has this dramatic mural. This entry was posted in Art -- there is art here!, Olympia, Stores and other places that sell you things, Unique Shopping (stores with some personality), WA State - Thurston County and tagged art, Childhood's End, crafts, earrings, gallery, mural, Olympia on May 26, 2012 by admin. We went to Patty’s Burgers for milkshakes and I admired the light reflecting off the steeple of the Church of the Visitation of the Blessed Virgin Mary at 3314 South 58th Street, Tacoma. 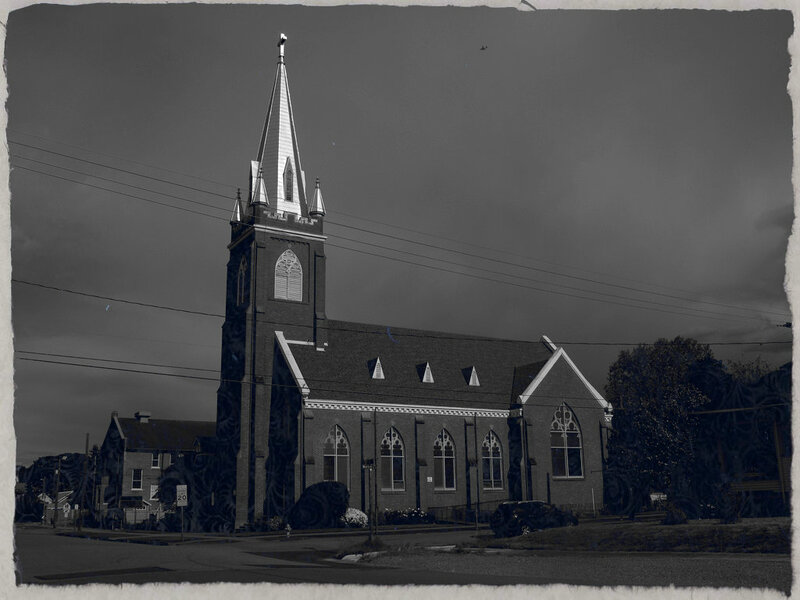 The church was dedicated in 1913, the school in 1924 and the addition to the school in 1949. This entry was posted in Churches, Places of the Spirit and tagged Blessed, Church, Edision, historic, school, South Tacoma, Virgin Mary, Visitation on May 25, 2012 by admin. The Asian Pacific Cultural Center had an Open House today to celebrate its new location at 4851 South Tacoma Way, Tacoma, WA 98409. The property had previously been the South Park Community Center and the APCC is leasing the property from Metro Parks while it pursues a permanent home. The place was packed with well wishers enjoying food and entertainment. Some of the classes that the APCC is offering look pretty interesting including martial arts, fitness, language classes and summer camps for the kids. Their website says “APCC serves the general public of Tacoma, Pierce County, Washington State, National and International, about 47 Asia Pacific countries of the world and their unique histories cultures, languages, arts, crafts, customs, honor and respect” What a great asset for Tacoma! This entry was posted in Community Space, Non Profits, Tacoma, WA State - Pierce County and tagged Asian Pacific Cultural Center, asset, Community Center, Culture, South Park, South Tacoma Way, Tacoma on May 24, 2012 by admin. “ We were celebrating a birthday today and my job was to stop and buy some fish for the grill. So, I went to Johnny’s Seafood at 7304 Lakewood Drive in Lakewood. I was out of my car before I realized that it was gone! Of course the building is still there, but it was empty. There goes all my thoughts of sneaking in some fun fish and crab photos! Fine. Here is a shot of the empty building. This entry was posted in Stores and other places that sell you things, Their future is in question and tagged building Johnny's Seafood, Lakewood, retail, shopping, vacant on May 23, 2012 by admin. 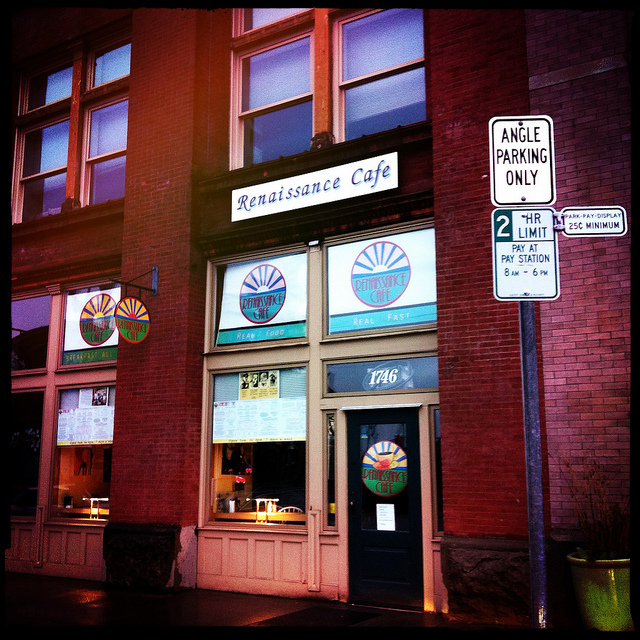 This entry was posted in Coffee Shops, cafes and bistros, Restaurants, Tacoma, WA State - Pierce County and tagged Avenue, Birmingham, Block, Pacific, Renaissance Cafe, Tacoma, University of Washington, warehouse on May 20, 2012 by admin.